" Home of the Eagles "
Come join the Eagle's nest! 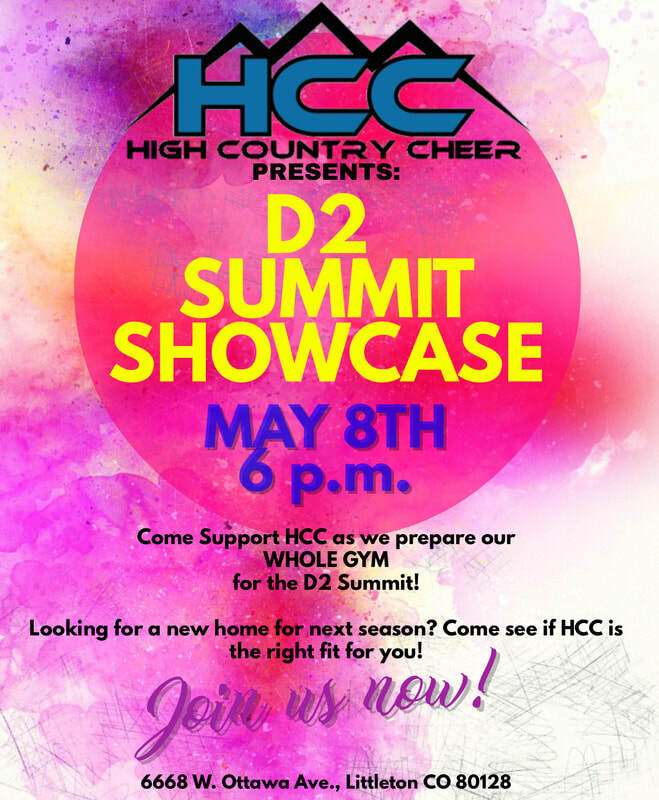 COME BE A PART OF OUR HCC FAMILY! HOME OF COLORADO'S MOST COMPETITIVE D2 GYM!!! AVAILABLE FOR ALL AGES AND SKILL LEVELS! 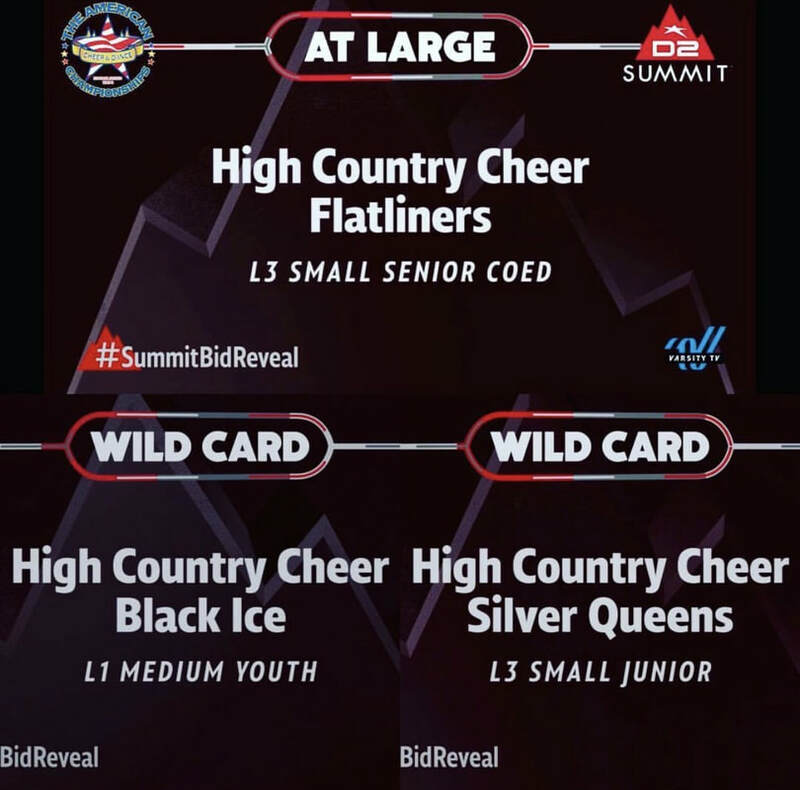 ​Information packet for the 2019-20 season coming soon! COMING SOON HCC 2019-20 Information Packet!!! Copyright © 2014 High Country Cheer, Inc. All Rights Reserved.